I gave a presentation in Denmark to a conference called to discuss “Ny Nordisk Øl” – “New Nordic Beer” – on “Beer and terroir from an international perspective” on Friday November 7. This, slightly tweaked, expanded in a couple of places and cut in a couple more, is that presentation. The brewers of Denmark, Sweden and Norway are already enthusiastically making beers that reflect the place they are made, using local ingredients: you can read about some of those beers here. But what the Ny Nordisk Øl movement is doing is just part, albeit a tremendous part, of a wider movement to get away from internationally reproducible styles of beer, a movement that is finding expression in North America via campaigns such as “Beers made by walking about” and by brewers such as the Almanac Beer Company in San Francisco, the Mount Pleasant Brewing Company in Michigan, the Scratch microbrewery and farm in Southern Illinois and Plan Bee brewery in New York state, in Italy, in New Zealand, and in Australia, most eloquently by Ashley Huntington of Two Metre Tall brewery in Tasmania. As I researched for my presentation, it became clear that the “place-based beer” movement is a growing global phenomenon, albeit as yet those engaged in it often seem unaware that others are fighting a similar crusade. This is a long blog but, I hope you’ll agree, fascinating in its implications for the future of craft beer. 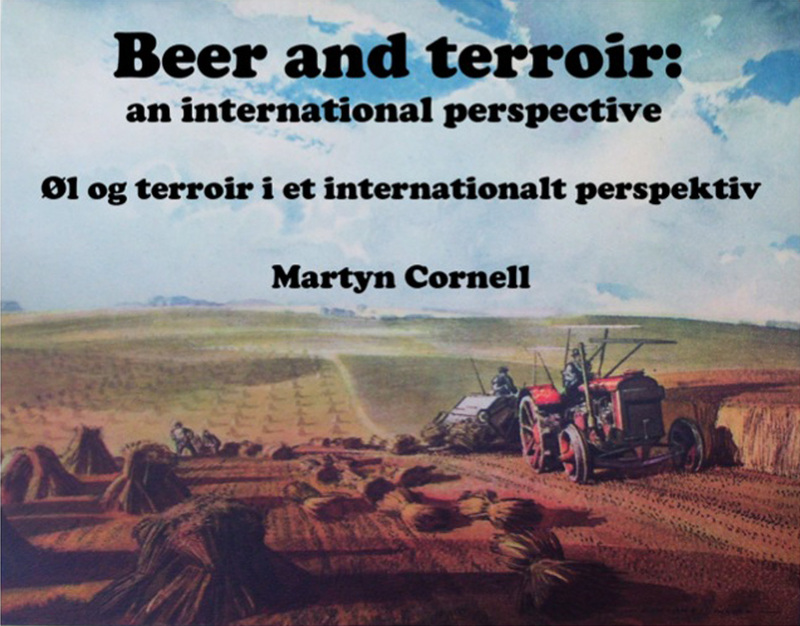 Before I begin talking about beer terroir, it would be best to say exactly what I mean by the term in the context of brewing, what I think you need in order to be able to say that a beer has characteristics that fall under the name “terroir”, and some of the problems of trying to talk about “beer and terroir”. There are plenty of complicated ways of defining “terroir”, and what it takes for “terroir” to be reflected in a beer. But the one I like best was said by an American craft brewer who said he was attempting to achieve in his beers “the essence of here”. For a young Japanese entrepreneur, Shiro Yamada has a perhaps unlikely-sounding hero: Baron Bilimoria of Chelsea, lawyer, accountant, son of an Indian army general, and the first Parsi to sit in the British House of Lords. Bilimoria’s establishment credentials were enough to get him in the Royal Box at the Queen’s diamond jubilee celebrations last year. “He’s like Steve Jobs to me,” Yamada says. Bilimoria earned Yamada’s admiration for being the man who founded Cobra Beer in 1989, to be the curry eater’s beer: designed specifically to complement food, with lower carbonation and a smoother taste. Yamada, who had worked as a venture capitalist, and been involved in dot-com start-ups in Japan, was studying for an MBA at the Judge Business School, part of Cambridge University, around 2005 when Bilimoria, himself a Cambridge graduate, came to deliver a presentation to students at Judge on the Cobra operation. Yamada had already become interested in beer after going drinking with fellow students around Cambridge, and taken trips to Belgium and Munich to widen his beery knowledge. Listening to Bilimoria talk about his desire to brew a beer that would match up with Indian food, Yamada had a revelation. What about a beer specifically brewed to match up with Japanese food? The Japanese have been brewing beer since the mid-1870s, after Seibei Nakagowa came back to the town of Sapporo having spent two years learning how to make lager at the Tivoli brewery in Kreuzberg, Berlin. Today, despite a reputation in the West for mass-produced blandobeers, Japan is the home of a thriving microbrewing scene with some excellent products – Yo-Ho Brewing’s SunSun lager was one of my personal beers of the year for 2012.